Welcome to the Americas Best Value Inn of North Scituate. 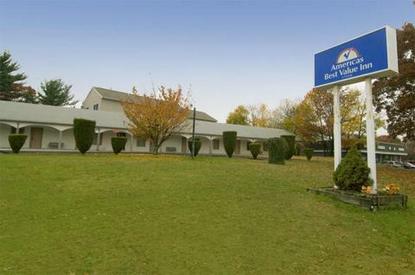 We are conveniently located on the Grand Army of the Republic Hwy.-Hartford Ave-US-6, which is only nine miles from Downtown Providence and the Rhode Island Convention Center, and ten miles from T. F. Green Airport in Providence. Colleges, Shopping Centers, Casinos, and Beaches are all within close proximity of our hotel. Make sure to stop by Cindy's Diner, located on the premises, for a delicious bite to eat and a drink. All our Guest rooms feature a Writing Desk, Sitting Area, High-Speed Wi-Fi Internet Access, Cable TV with HBO/ESPN/CNN, Hairdryer, Alarm Clock, and Wakeup Service. Microwave, Mini-Fridge, Iron, and Ironing Boards are available upon request. Inquire at check in for a Smoking or Non-Smoking room. Whether you are in town for business or pleasure, you will surely enjoy the superior service provided by the Americas Best Value Inn. .